The northern Indian state of Uttar Pradesh, one of several to be ruled by the governing BJP party, is emerging as a new centre of anti-Christian violence as politicians use a fundamentalist form of Hinduism to intimidate minority communities. According to the religious freedom NGO ADF-India, Uttar Pradesh experienced the highest number of violent attacks against Christians in any state – 26 – in the first half of 2018. So far this year, some 79 hate crimes based on religious identity, the highest number in any state,  were recorded in Uttar Pradesh by Project Doto (Documentation of the Oppressed), a team of lawyers, criminologists and civil rights activists. Many incidents against Muslims were recorded. According to recent media reports, members of a Hindu youth militia called Hindu Yuva Vahini (HYV) have attacked churches and pastors, and lynching Muslims who consume beef. HYV, an affiliate of the Hindu nationalist RSS (Rashtriya Swayamsevak Sangh), was founded by a Hindu monk called Yogi Adityanath, who is now Uttar Pradesh’s chief minister. “They warned us that in 10 minutes the prayer meeting must end. They said: ‘If you want to gather as a congregation, go to the large churches built in big cities,” but we questioned them back, ‘Why can’t we worship in our own houses?’ And [we] asked the church youths to videotape the exchange,” said Parul, whose husband, Pastor Sanjay Kumar, has been arrested three times since last October. Pastor Kumar has been charged with “knowingly joining and continuing an assembly of five or more persons after it had been commanded to disperse” and promoting enmity between classes, races or religions, for conducting Bible studies and prayer services. In May the Sub Divisional Magistrate in Kaushambi District fined him and four other men each 50,000 rupees (£560, $720) for continuing to meet after police forcefully stopped Sunday worship at his church on October 29, 2017. Pastor Kumar spoke of the financial strain the fine had placed on him. “The burden of this penalty is on me, and God knows that I can’t afford it. Police filed 3 FIRs [first information reports] against me in the past ten months. It is not a surprise to me, if they are yet again conspiring to file false cases against me,” he told World Watch Monitor. On 2 July, Christians in the village of Kashirampur in Pratapgarh District were singing when a group of Hindu extremists arrived in two four-wheel drives. 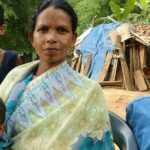 “They started beating everyone – children and the old, with wooden sticks,” Pastor Kumar told World Watch Monitor. “The service had almost come to an end that day, and some brethren had come forward to share their testimonies. Suddenly, the assailants surrounded on all sides and opened fire. They shot few times in the air and dispersed the gathering. They then struck whoever was in their sight with wooden sticks, and the vehicles parked a few feet away also were damaged,” he said. Upon receiving the complaint from the village president of Kashirampur, police at Sangramgarh station charged the Christians with carrying out “forced conversions” and promoting enmity between classes. That pastor, Ram Kumar Yishu Darbar, told World Watch Monitor he is seeking anticipatory bail for himself. On 18 June, scores of Bajrang Dal activists, a Hindu militant organisation, beat up a pastor from the Church of North India, Dipender Prakash Maleywar, alleging that he had forcibly converted 11 Hindus to Christianity. “After police produced him before the court, it ordered for a CBI [Central Bureau of Investigation] enquiry. The CBI team went to the places where he ministers, and everybody who was interrogated told them the truth – that there was no forced conversions, and that they have been following Christ on their own will. That was enough for him to be released on bail. But it’s a conditional bail; he went to get his attendance marked twice in two weeks now,” she said. On 5 June, Mahoba District police arrested a pastor who officiated at the wedding of one of his female church members, under Section 498A of Indian Penal Code. Pastor Dipak Kumar had several times counselled the couple, who were married two years ago, when the wife complained against her husband. But the woman had made a separate complaint to the police, alleging that her wedding was not an official one and that she had been sold to her husband for one lakh rupees [£1,100, US$1,500] by Pastor Kumar. Section 498A of the Indian Penal Code punishes the husband or relative of a married woman for subjecting her to cruelty. She added that the woman’s brother was linked to Bajrang Dal, the youth wing of VHP. “The woman’s brother, a close associate of Bajrang Dal, targeted the pastor as the wedding was commenced in our church,” she said. “Recently, she sent her close relatives to me demanding five lakh rupees (£1,700 or US$2,200) and [stating] that she would withdraw the case if I obliged to her demands,” Mrs Kumar said. “It has been over 40 days since my husband was put in jail,” Mrs Kumar added. What are the police doing in such incidents? A pastor based in Varanasi, known as David, said there was a too close relationship between the police and Hindu nationalist groups. “The police administration is totally biased towards chief minister Yogi Aditynath’s militant groups and its parent organisation, RSS and its other affiliates,” he told World Watch Monitor. “Christians are their main targets, as most of the believers in Uttar Pradesh are from rural areas where caste and class plays a dominant role,” he said. “Meanwhile, the arrested pastors’ families go through most difficult time, some can’t even provide for themselves. It is heart-wrenching,” he noted.